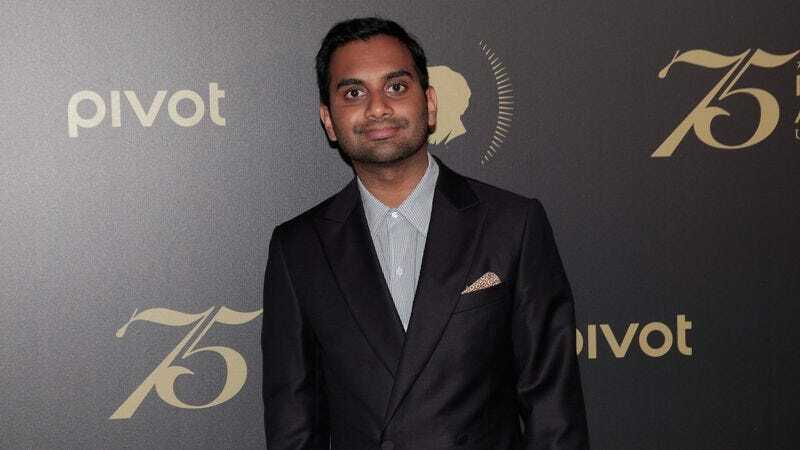 Comedian Aziz Ansari made a name for himself playing the extremely self-confident goofball Tom Haverford on Parks And Recreation, but his stand-up work and Netflix series Master Of None have shown that Ansari himself has a lot more to say than Haverford ever did. Case in point, Ansari recently wrote an opinion piece for The New York Times that’s all about the rise of Donald Trump and how it’s impacting his family. Ansari is the son of Muslim immigrants, and he says “prejudice is reaching new levels” thanks to Trump and his presidential campaign. He says it’s “visceral and scary,” and it makes him afraid for his family. Ansari talks about what it was like living in New York in the aftermath of 9/11 and tells a story about a stranger in a passing car calling him a “terrorist” while crossing the street. He connects that story to a quote from Trump about how American Muslims “know who the bad ones are,” which implies that they’re complicit in terrorist attacks, and he asks why white men aren’t forced to prove they’re not “bad ones” after mass shootings occur.